Here at Bluebell Falls we like to share what is happening, where we have been and what is coming down the line in the near future! 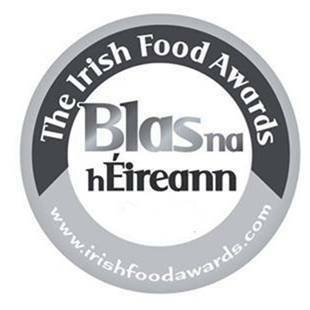 Bluebell Falls Cheese Farm has again claimed the silver award in 2016 with the new spreadable goats cheese dip! 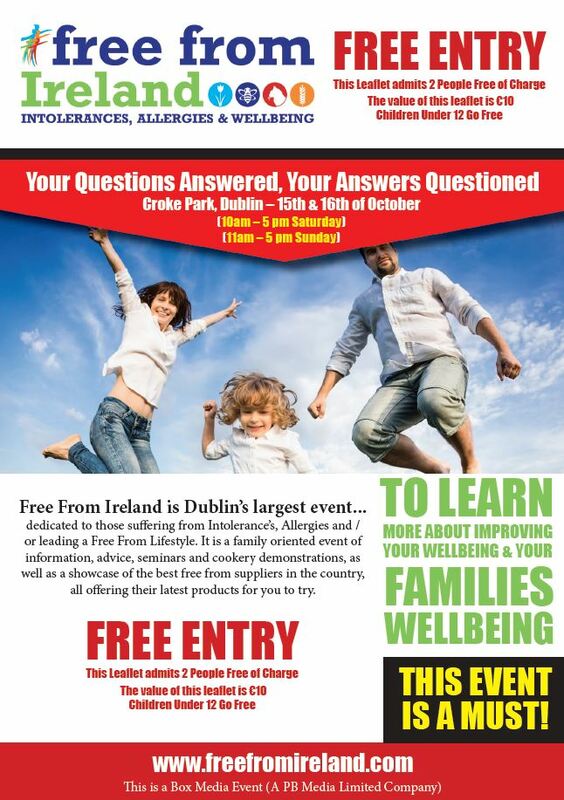 The Free From Ireland events are Ireland’s largest events dedicated to those suffering from Intolerance’s, Allergies and / or leading a Free From Lifestyle. It is a family oriented event of information, advice, seminars and cookery demonstrations, as well as a showcase of the best free from suppliers in the country, all offering their latest products for you to try. 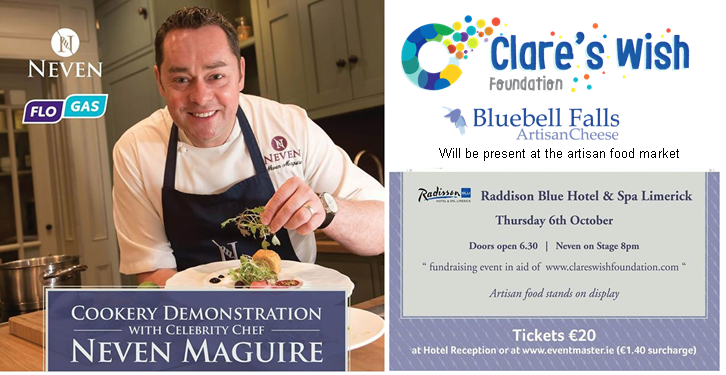 Thursday 6th October Bluebell Falls is supporting the Clare's Wish Foundation Fundraiser at the Raddison Blu Hotel Limerick with the cooking demonstration by Neven Maguire - come and join us and support this great charity. Don't forget to visit the Bluebell Falls stand to taste our lovely cheeses! 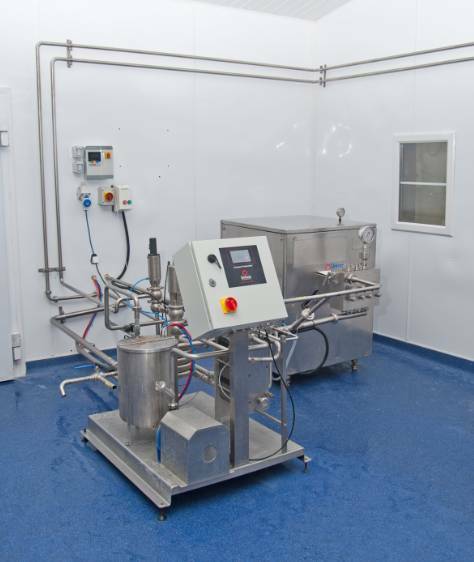 Bluebell Falls Cheese Farm is proud to present our new pasteurising unit which has a capacity of pasteurising a 1,000 litres of milk per hour. 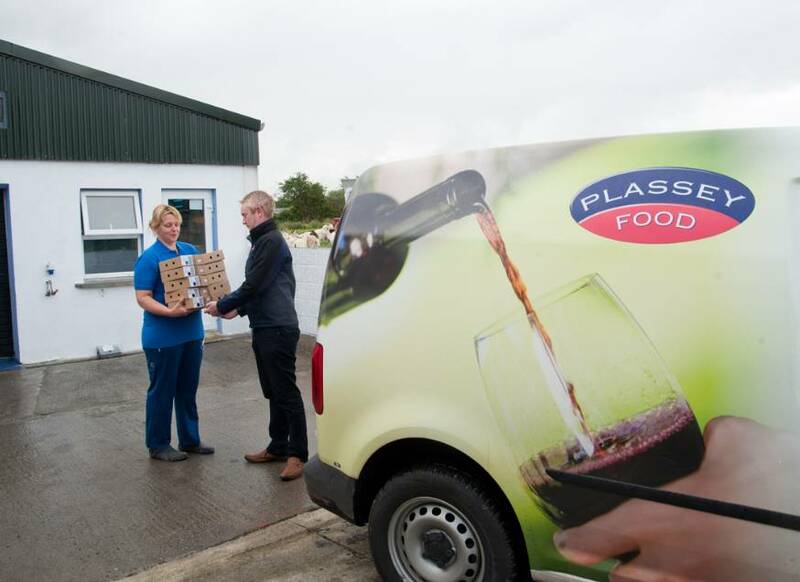 Plassey Food - the one-stop-shop to the foodservice industry - is now stocking our delicious range of goats cheese logs. Bluebell Falls is proud to retain their BRC accreditation after our recent audit. Want to know more about Bluebell Falls and/or our products? Just get in touch, we love to hear from you. © 2017 All rights reserved. © Bluebell Falls Goat Cheese.